Pure Bee Honey vs The Honey Impostor – Can you tell the difference ? 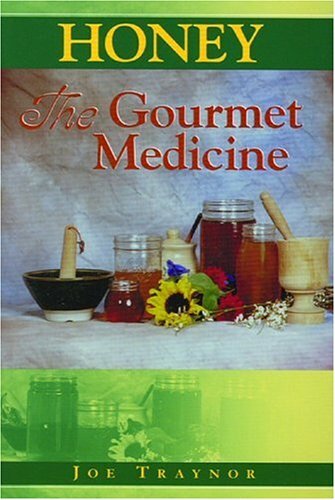 With an increased emphasis on natural foods and good health, honey has gained prominence in health food circles. Bee honey is made by honey bees. (Makes sense right?) Now enters the problem of real honey vs fake honey. Some of those golden bottles of honey may not be 100% real honey. Dating back thousands of years, honey has been used as a food and for medicine. Honey offered a sweet treat, a rare thing, in those times. It was portable and had a very long shelf life. Honey never spoils and can be stored for years and still be edible. 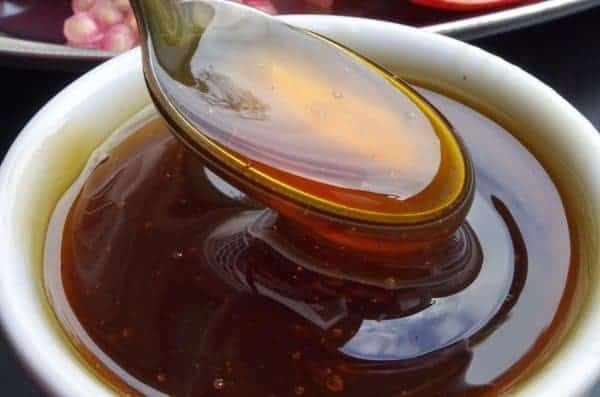 Long before anyone knew about microbes or bacteria, honey was used to treat surgical wounds and to ease the pain of burns and promote healing. Honey is mentioned in the Bible and the Quran, as well as, among ancient Greeks and Egyptian cultures. A long time-line of the benefits of raw natural honey brings us to today. With all the great properties, it is no wonder we have honey impostors. Unfortunately, much of the honey sold in the US today will bear little resemblance to the pure raw natural honey enjoyed by the ancient peoples. Technology has made honey more readily available to the masses but what kind of honey are you eating ? Are you caught up in the pure bee honey vs fake honey issue? The Honey Impostor. Why Do We Have Fake Honey or Unpure Honey? Sometimes, this is intentional in the case of honey from foreign countries (such as China). Many foreign countries do not have good regulations on product quality. Yes, you might be getting honey but what else is in it ? I just don’t want to know ! The US has tried to crack down on illegal China Honey . But there are reports of honey from China being sold to other countries who then bring it into the US as if they produced it. It is a matter or trying to hide the source. Sometimes, I try to avoid buying food products that say they contain honey. I worry about the source. 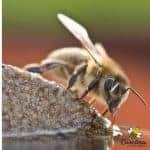 Even in the US, the mega-sized honey companies buy honey from a variety of sources – no problem there if it is good honey. But how do they know if they are getting pure bee honey or a honey impostor? 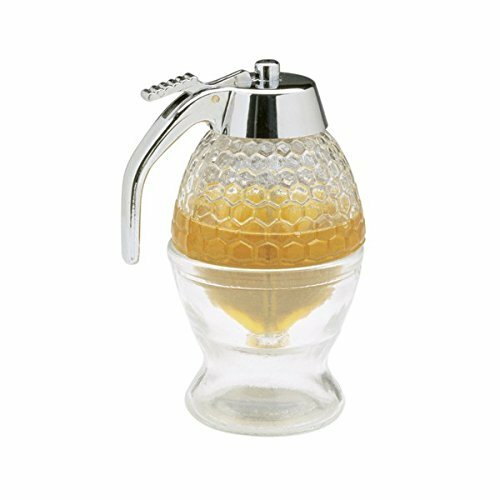 The honey blended together produces a pleasant flavor. That is good I guess but you lose the individual flavors that a normal honey crop offers. My bees may produce a light colored honey one month and a dark honey two weeks later. This is because of different nectar producing plants blooming throughout the Spring. Some plants have nectar that produces dark honey and some nectar produces light honey. When large crops of honey are blended this individual flavor is lost. For true flavor: real honey vs fake honey : I vote for real honey and the variety it offers. In order to produce a beautiful jar of honey that will look good when it is bottled, when it is sitting in the warehouse, when it is in the grocery store and until you get it home and use it — well that takes some doing. Honey is heated to temperatures that may be destroying some of the healthy enzymes so it can be pressure filtered to remove tiny particles of pollen and wax. Why ? Because real honey crystallizes. Ever had a jar of honey “turn to sugar” ? It gets semi-solid and gritty. That is not what the consumer is expecting when they snap open that honey bear. So the honey industry has to process the honey in a way that will be marketable to the mass public. Consumers that often don’t understand the finished product in that cute honey bear may have little resemblance to fresh raw honey. You can always learn how to become a beekeeper yourself. But if you are not ready for that, there is another option. Purchasing local honey from a local beekeeper is your best chance of avoiding the Honey Impostor. Enjoy real raw honey and help small farmers stay in business. 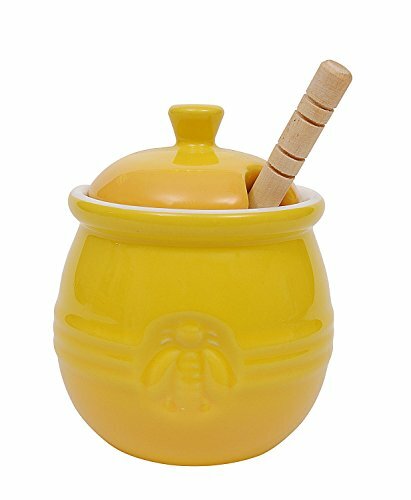 Real honey vs Fake honey in regards to taste – real honey wins every time! Don’t trust labels – talk to your beekeeper. What about “honey” made from the sugar syrup fed to bees? How does that figure into things? I’m a new beekeeper and have been feeding my bees and they have filled many frames so just curious…. Thanks! Good question Linda. “Honey” made from sugar syrup is not real honey. It is okay as an emergency feed to keep your bees alive. But it does not contain any of the floral nuances of nectar. 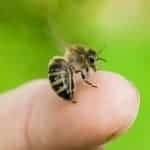 Ok for bees in times when a colony is new and growing or in a time of lack of nectar. Not good for us, as a chemical analysis would show it is not real honey. Good luck with your bees. my area. Works out great. DSAP, a skin problem born with. Please let me know.